The $200 bln telecom firm’s earnings met expectations, but rivals are otherwise engaged bidding for media companies. Verizon hasn’t yet left its comfort zone, beside a half-hearted attempt for parts of Rupert Murdoch’s empire. When others are paying high prices, that’s reassuring. The logo of Verizon is seen at a retail store in San Diego, California April 21, 2016. Verizon on April 24 said first-quarter revenue rose 6.6 percent to $31.8 billion. Earnings attributable to Verizon shareholders were $4.5 billion, or $1.11 per share, compared to $3.5 billion, or 85 cents per share during the same quarter last year. Analysts on average were expecting revenue of $31.3 billion and earnings of $1.10, according to Thomson Reuters data. 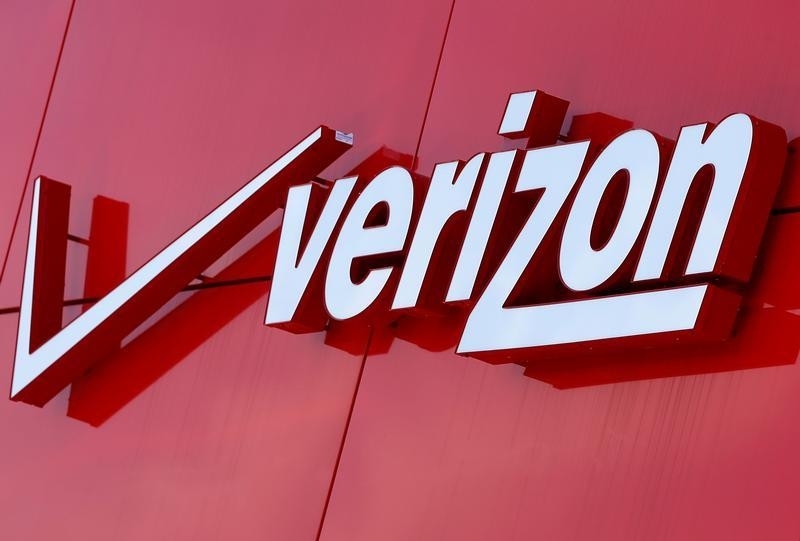 Verizon reported a net increase of 260,000 retail postpaid connections in the first quarter, consisting of net phone losses of 24,000 and tablet losses of 75,000. The losses were offset by 359,000 other connected-devices gains, primarily wearables.